آخرکار ! بن گیا ! یہ ہے میری نئی ایجاد ! روبوٹ ! 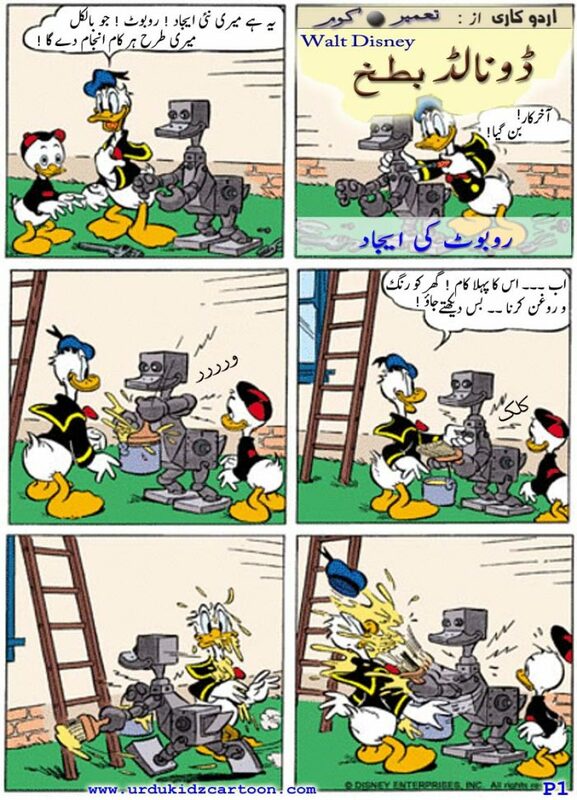 جو بالکل میری طرح ہر کام انجام دے گا ! 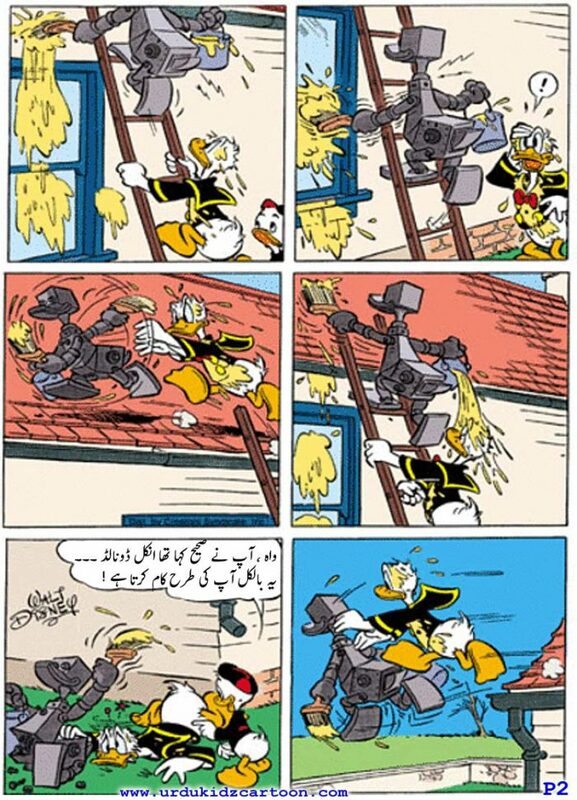 اب ۔۔۔ اس کا پہلا کام ! گھر کو رنگ و روغن کرنا ۔۔ بس دیکھتے جاؤ ! واہ ، آپ نے صحیح کہا تھا انکل ڈونالڈ ۔۔۔ یہ بالکل آپ کی طرح کام کرتا ہے ! It is a good effort. I really appreciate to this kind of resource otherwise no one is working on urdu which is our mother tongue. i also want if possible that also include information on fruits vegetables, animals, etc that when students search some information they also get chance to read urdu. Dear Madam Rukhsana Naeem, Thank you very much for your appreciation. We would also like to thank you for your kind suggestion. we will consider this inshaAllah in near future.